Don't you just love my scripture plates? I found a set of 8 plates a few years ago at Ross and grabbed them up quick. I have enjoyed using them at different times. My centerpiece is simple as is my tablescape. My little naked fat babies as the "Grands" call them came out to make their appearance. Red, white and black seemed to be my color theme this year for Valentine's. The red hearts in the center of the plates I made out of card stock. Several of you have asked me about my dining table. My grandfather built my table and benches many years ago. Nothing fancy about it but it sure means the world to me. The table is a little wider than the average dining table and it makes it hard to find a fitted tablecloth. I do have several that fit well but most often I would rather use a runner or pretty blankets or different colors of material for overlays. I have taken material when I have found it on sale and whipped up a little tablecloth. 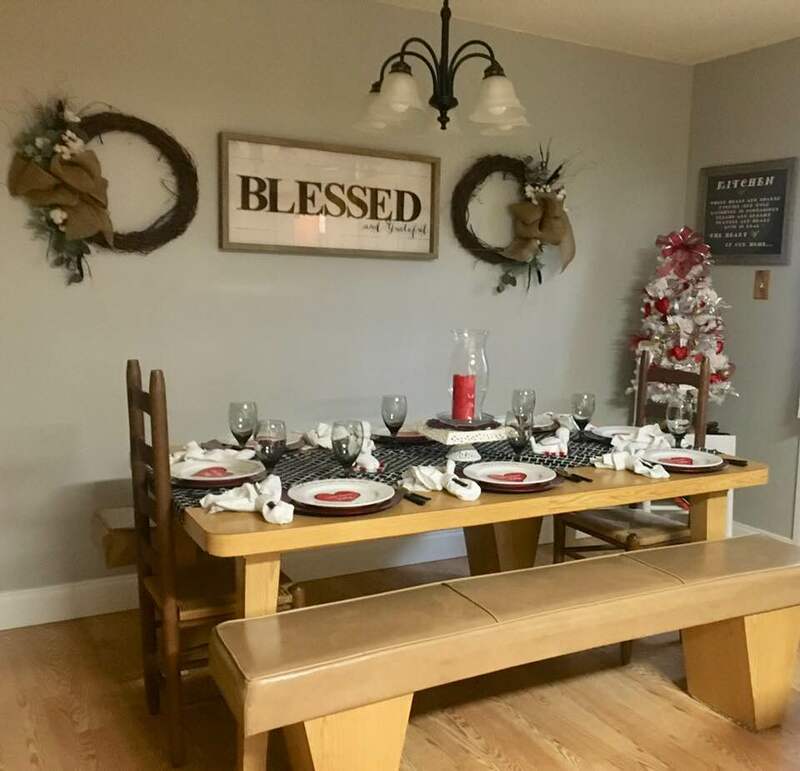 I have thought seriously about painting the table and redoing the benches and chairs. I have actually looked for two chairs but can't quite find what I like. My adult family of 8 can all sit together when eating. My grandchildren sit at our breakfast bar. So it makes it really nice that we all can be in the same room together while eating. That table is some kind of heavy too! I might get brave and tackle a reno....but....I'm going to have to do some thinking and that can be dangerous with me! LOL! 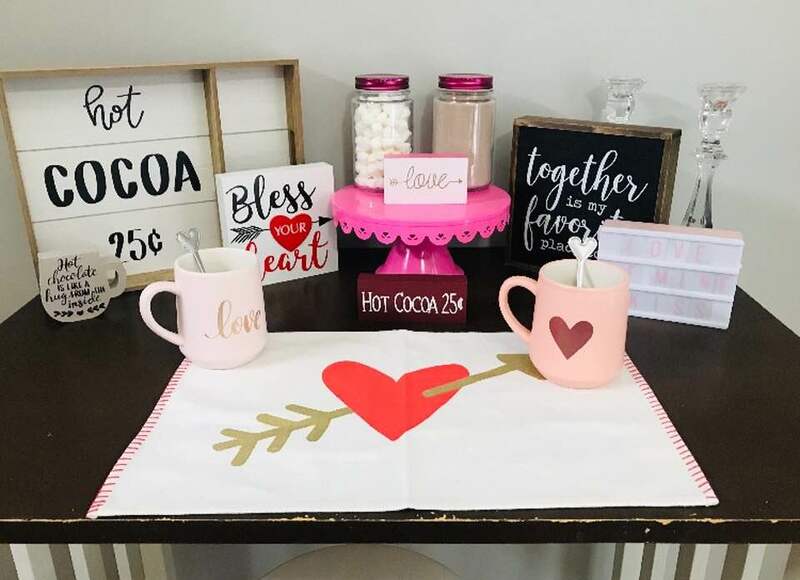 My daughter Melissa created a Hot Chocolate vignette for Valentine's day for her family and I wanted to share it with you. It turned out so adorable don't you think? Speaking of a little "love" I spent the day with my two youngest daughter's on Saturday. 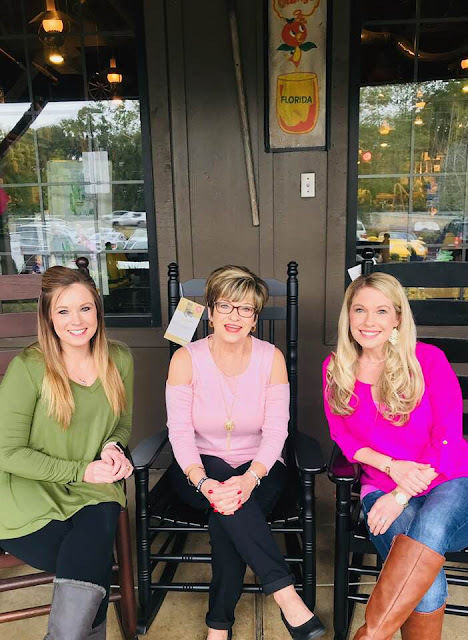 We had breakfast together at Cracker Barrel and then a day of shopping. My oldest daughter and her family had left for a mini vacation and I missed her not being with us. We had a cookout at her house the night before so that was a plus. But, we are all so blessed that we live close to one another, talk daily and see each other often. Believe me....I can't hide from them because I have tried! Hee-hee.....Truthfully, I wouldn't have it any other way. I will leave this with you for your enjoyment to read. I found this on Wallethub that was based on celebrating Valentine's Day in 2018. They were a little concerned with being naked! LOL! I had all intentions of making a few mug rugs for holidays but needless to say...they were only intentions! LOL! I love your table, the hot chocolate vignette and the photos of you and your daughters! Everything looks so beautiful! We will be in the 45% who don't really celebrate Valentine's...we feel that we should show love and extra attention more than the one day the retailers tell us to. :-) So we celebrate "non-Valentine's Day...with a nice dinner at home, watching a special movie and cuddling. Sappy, I know. Love and hugs sweet friend! Thanks Benita. 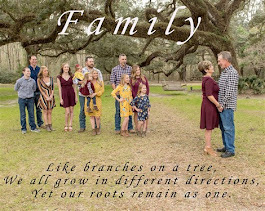 Love your sappy tradition. Very pretty table and Melissa's little hot chocolate turned out adorable. I wish I had a table like that. Mine sits 4 but we squeeze 6 up to it. I have to bring a card table in for the rest but thankfully I have two of those with chairs. A cup of hot chocolate sounds so good too. We love eating breakfast at Cracker Barrel. Well, for years we have celebrated V-Day with a movie night at home with popcorn. Yep, sounds corny but that what we like and we never seem to have time to watch movies together so it works for us. Thanks Connie. I love your idea of movie and popcorn at home. A cup of hot chocolate with whipped cream sounds really good to me right now. What a great dining table and so special! That would be a big reno project if you decide to paint it! I'm loving all of the pops of red for your table and kitchen. Your daughter's hot chocolate station is so cute. It reminded me that I have a red cake stand that I like to display this time of year. Thank you! That infographic was so interesting! People sure do spend a lot on Valentine's Day! I know Heather...probably more of a project than I would want it to be for me! Marty wants me to leave as is because my papa built it but to buy more chairs if that is what I want. I love red so anytime I can grab some red and use it I do. YEP...some people got more money than they do sense as my granny would have said. LOL! So pretty here! I love the changes. Such a lovely table you have set. I enjoyed the Valentine stats. A movie and hot chocolate sounds lovely to me! Thanks Melanie. I cleaned up the blog face a little. Needed a little cleaner look. Hot chocolate really sounds good right about now. 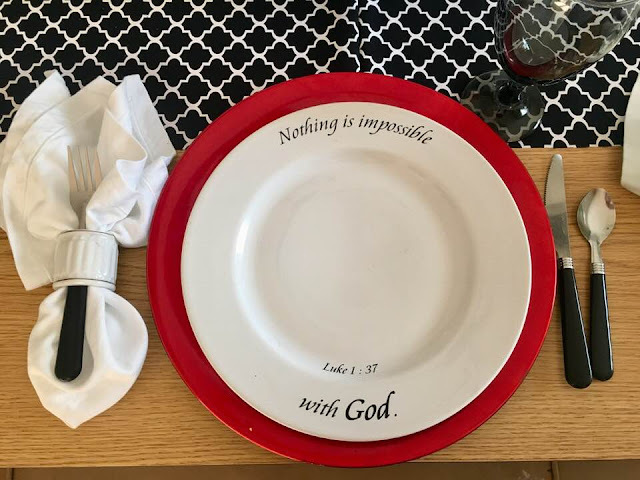 Love your tablescape, and those plates are awesome! I've never seen any like that before. Glad you explained about the heart in the middle. I thought it was a part of the plate. Your table is lovely...especially because it was made with love by your grandpa? It looks very similar in size to my dining table, which came from my hubby's grandparents' home, tho not handmade. It is also wider than normal, and I have the same issue with tablecloths. Plus I end up using a vinyl tablecloth to protect it from moisture/water rings and usually put a cloth tablecloth over that for company. I don't have much luck with placemats, etc., because invariably someone will spill or set their glass "outside of the box". LOL. Coasters aren't much help either...I raised a houseful of men...so I gave up on perfection a long time ago. LOL. But still love to dress up the table for "company". I found out that using a twin size sheet makes a good tablecloth. You can get lots of good colors and designs if wanted. I buy the cheap ones at WAlmart, and when they get too stained, or whatever I just replace them. Also can put a lace cloth over them and that hides the stains. LOL. The Valentine stats are interesting. We don't go overboard here. sometimes we show each other cards at the store. LOL. Sometimes I reuse last year's card...or maybe skip a year so he doesn't remember it. LOL. At our age we rarely remember what we ate for lunch...so no problem. Thank you Pam. Well, you have gave me the best laugh this afternoon girl. As much as cards cost today hey, I love the idea of just looking at them in the store! I actually buy my cards from Dollar tree. The truth is most often they go in the trash anyway, right? Yes, I have used twin sheets too. When I go thrifting I look for twin sheets that might catch my eye. I have actually bought some that had a tear here and there and simply made table runners out of them. Thanks for the laugh today girl. It's Monday and I needed it. Cindy, I do love your scripture plates and your beautiful Valentine’s Tablescape. What a treasure to have a table made by your grandfather. You and your daughters are oh so pretty! 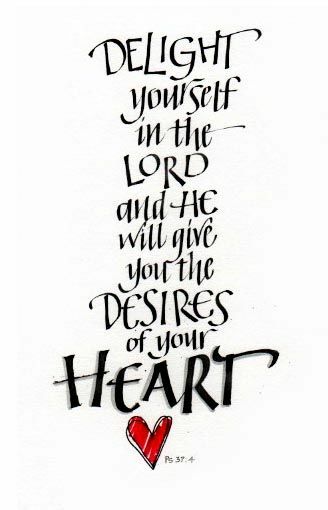 Have a great week sweet friend! Thanks Pam. I love those plates too. I've used them quite a bit. 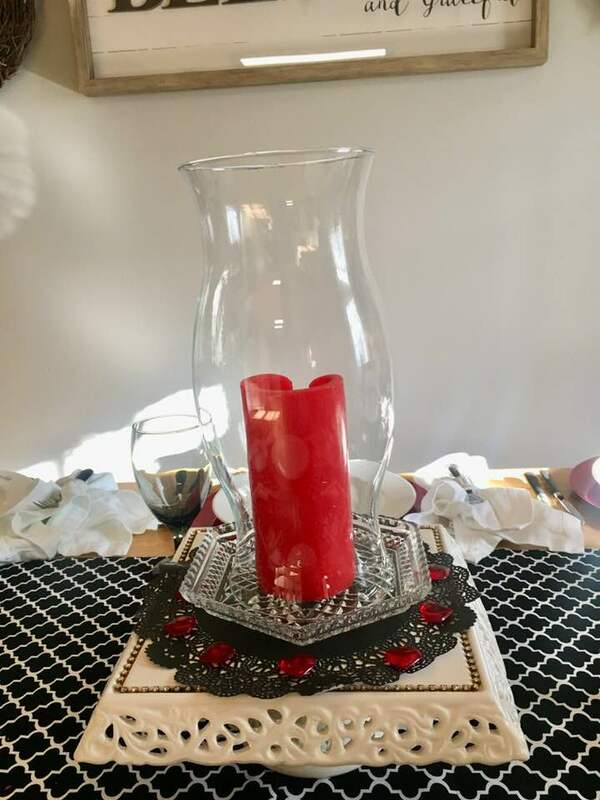 I'm admiring the red, white and black motif of your pretty Valentine decor. Your daughter's cute hot chocolate vignette has me craving hot chocolate! Thanks Margie. I love red anyway and you know I have to add some black to it being a Georgia bulldog. LOL! What a lovely table and benches and what a treasure since your Grandfather made it. And, I love those dishes, so versatile and great for Valentine's day. You are very fortunate to have all your girls near. I never lived near my Mom and our daughter has never lived near us. Boo! But, we make it work. Happy week! Thanks Lea.I have used those dishes many times and I always love how you can add different colors with them. Red and black this time around really brought it all together. 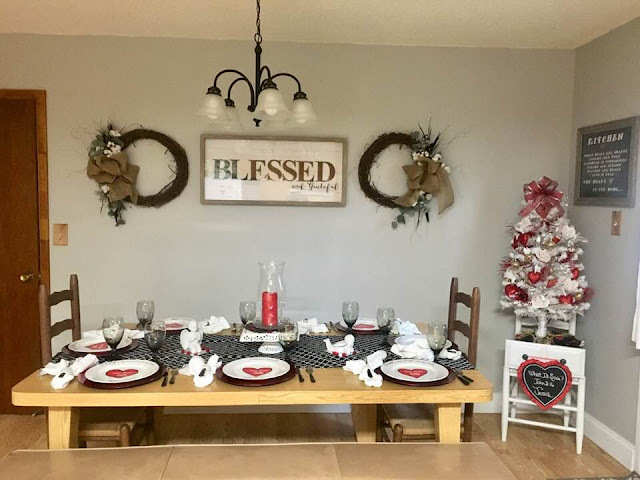 Your tablescapes are always beautiful, Cindy, and this one is no exception. Just lovely! And how precious that your table and benches were made by your grandfather. I'll be thinking of you as you decide whether or not to change it up a bit. For me, the thinking and planning always take longer and are harder than the actual work! lol Glad you had time with your daughters. It looked as if you were having fun. I wish our daughter lived close enough that we could do things like that. Interesting facts on the image you shared. Wow...and to think that there are people in this country who are hungry and without shelter. Kind of shows us where our priorities as Americans are, yes? Thanks Dianna. I really had wanted to change the table and bench up. I am so afraid I will mess it up. That might be too big of a project for me to tackle. I even thought about hiring it done. Just can't quite decide. Dianna, as my granny would have said, "Some people got more money than they do sense". That's the thing about Ross. You never know what might be there. If I am near a Ross while out shopping I always have to stop and see what they may have that I may want. LOL! My middle daughter DISLIKES Ross so she most often stands out front of store and waits on me. HA! It doesn't bother me not neary a bit either.....I shop right on. Thanks Kitty. I am very blessed for sure and I do not take it for granite. I love her cocoa display. I told her we needed to have a hot chocolate party. LOL! Thanks Debby. I have several things that belonged to my grandparents and great grandparents. Means nothing to no one but me. Yes those figures are very interesting. I thought some to be quite stupid to be honest. And that's my humble opinion. LOL! Girl, I can talk myself right out of something too. And, the older I get the more I have found that I can put things off with the best of them. Funny thing is....it doesn't even bother me any more. LOL! What a beautiful tablescape! 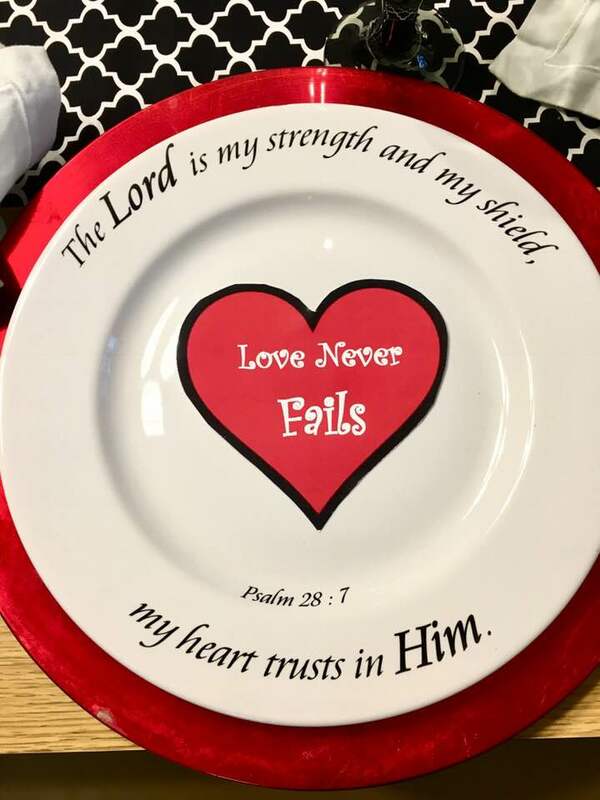 Cindy, your scripture dishes are just wonderful and look so pretty on your treasure of a table! How special that your grandfather built it for you, that truly is awesome. Love that darling picture of you and your daughter, all of you are just beautiful! My girls live near me too, it's such a blessing, isn't it? Thanks Nancy. Oh I know you enjoy your girls too. I can't imagine my life without them. God knew what He was doing when He gave me girls. I love your table setting. And those plates!! 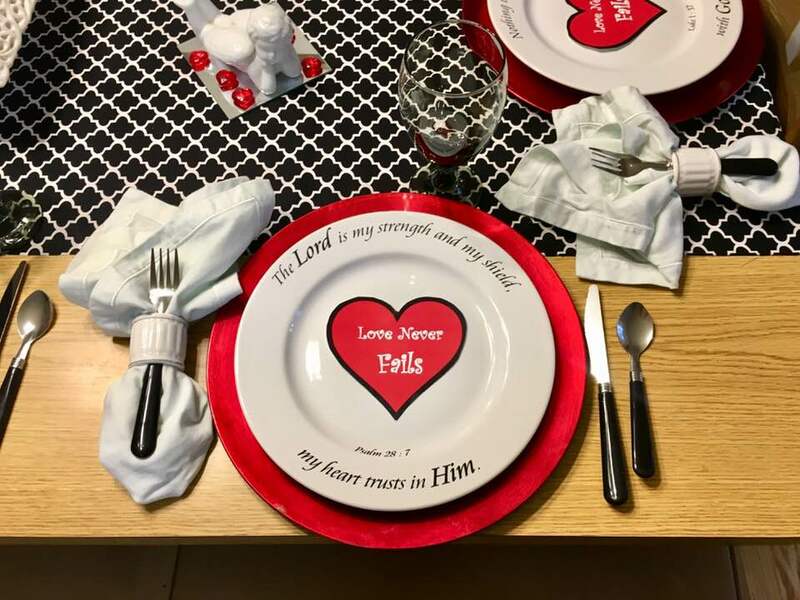 When I first saw them, I thought the heart was part of the plate. haha. Of course I can't forget about that cute chair with the little tree. That is the perfect decor for your dining room. :)Your daughter's hot chocolate bar is adorable too. Thanks Ashley. I have used several different things to go in the center of those plates but the hearts are my favorite. Thanks BJ. You’re so sweet. Oh, wow! I love your plates, and I also thought the hearts were a part of them. You are so creative and make everything look so pretty! The picture of you and your girls is just beautiful. All three of you are so pretty, and it is wonderful that you all live close and can be together so often. God bless you and your whole family! Thank you sweet lady . I’m so very blessed . ❤️ The little hearts worked out perfect for those sweet plates . What a fabulous table and benches! And your table setting is beautiful. The black really pops the red and white. Thanks Christine. I love me some red and black to start with so it made it really easy this season to decorate with it. First of all,thanks so much for taking the time to stop by and thanks for your encouraging words!! 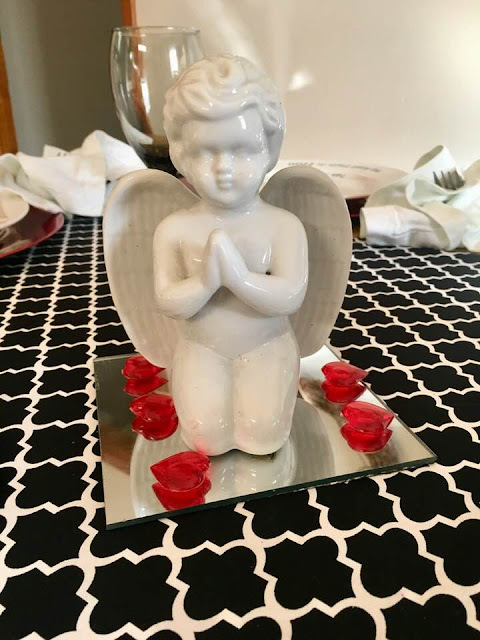 I LOVE your sweet tablescape and I too have those" Little Naked Fat Babies" LOL!!! Your table is so special and what a treasure!! I do envy your relationship with your daughters. I had a Love/Hate relationship with my Mom but I learned from it and my sons and I had a great relationship!! So glad that you and your sons has a wonderful relationship with one another. I am looking forward to your future posts. Awe thanks Zaa. I love Ross. Now I have one daughter that dislikes it but I have one daughter that likes it like I do. And who doesn't like Cracker Barrel? I hope you enjoy your visit with your kids and grands. I know that you will. 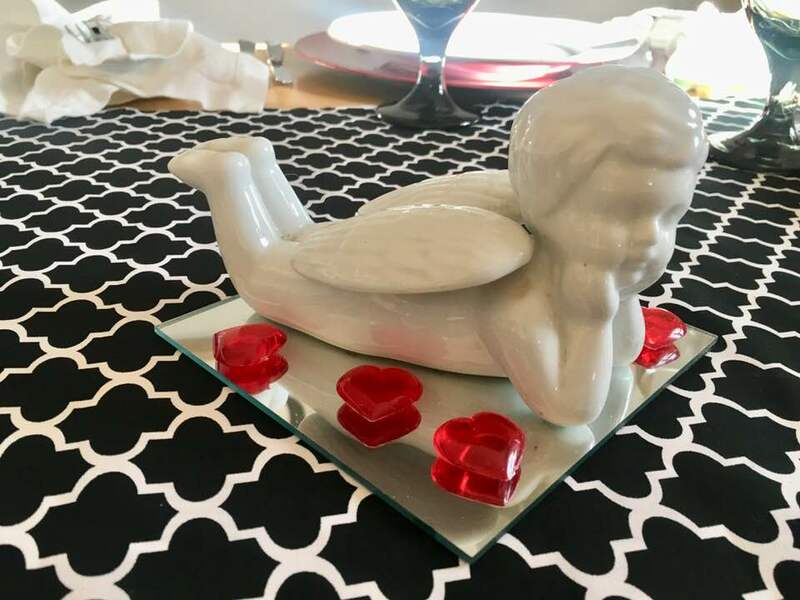 Such a sweet table, and story about it! You are showing Valentine Love everywhere! Such a cute photo with your girls, and I have those same white cherubs! Thank you Jenna. Those little fat naked babies have been with me a long time now. Great to catch up with and see you sitting here with your darling girls and you looking like one of them! 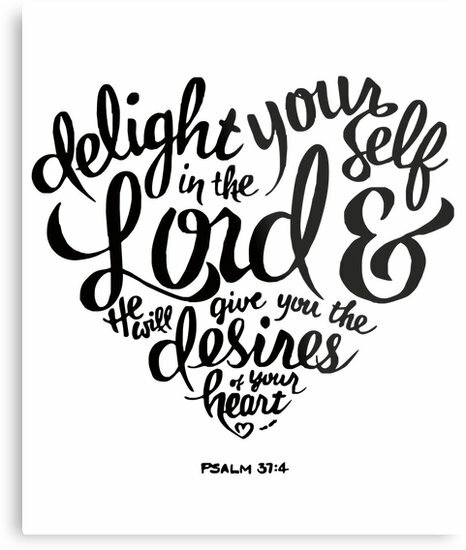 I think your good heart, love of Jesus and being such a good girl just keeps making you younger and younger! I was so glad to see your post recently. I hope your move has been rewarding for you. Girl....depends on what day of the week it is to whether I've been a good girl or not and who you might ask! LOL! Happy Valentine's day to you too Jemma. Looks like you are all decked out for Valentines Day and it all looks so nice. I have not even hung my Valentine door decor yet. Thank you Pam . I’m thinking now about Saint Patrick’s Day 😂 i May skip it and go straight to Easter . We shall see . Love your Valentine tablescape Cindy! The black, white and red are perfect! Your dining room table is gorgeous, what a treasure from your grandfather! It is wonderful that all the adults can comfortably sit there and visit! 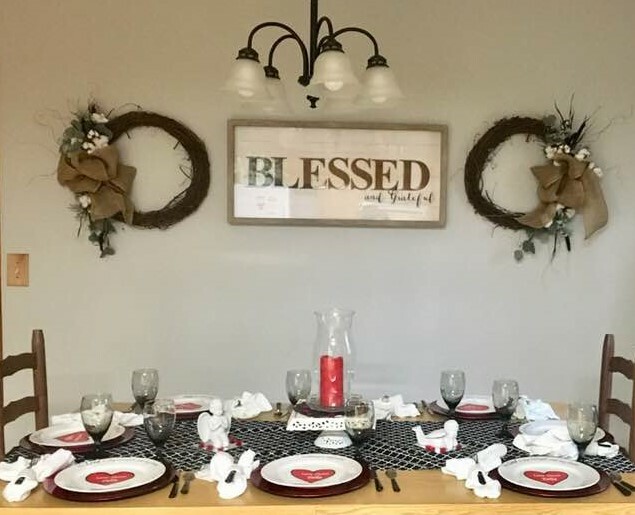 Just love your blessed sign with the two wreaths, gorgeous! Thank you Marilyn . I’m enjoying my tablescape and i have so many fond memories of my papa building that table . Such precious memories . Thanks you. Hope your V-day is sweet to you Nancy. Cindy,I love your scripture plates and how cute to put a heart in the center for Valentines Day which is all about love. Your have a heart full of love with your family and friends. I love your Valentine Tree that I spied in your room. Thanks for your condolences and get well comments. I always enjoy seeing pictures of you and your girls. All of you are so pretty. Have a great week, Cindy. Happy Valentines Day. Those statistics were really eye opening Cindy. I got some flowers for Valentine's day and of course chocolates which I shouldn't be eating but once in a while never hurts. 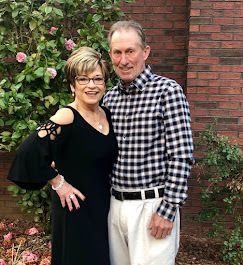 I hope you enjoyed your special day with the hubby!